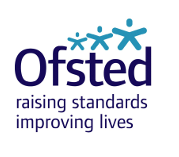 Ofsted is the Office for Standards in Education, Children's Services and Skills. We report directly to Parliament and we are independent and impartial. We inspect and regulate services which care for children and young people, and those providing education and skills for learners of all ages. Our specialist inspectors are experts in the type of service they inspect. When they carry out an inspection, be it of a children's home, a nursery, a school, a college, or a local authority, they focus on the quality of the service for individual children, young people or older learners. During an inspection, inspectors collect first-hand evidence based on the practice they observe and what they learn from the people using the service. They use this evidence and other information available to make their professional judgements which we publish in inspection reports.